We live by those 3 words when we design for engineers and industrial clients. We understand the need for easy-to-read specifications and volumes of data. We combine charts, graphs, specs and photos to create industrial catalog pages that engage the minds of people who make things tick. 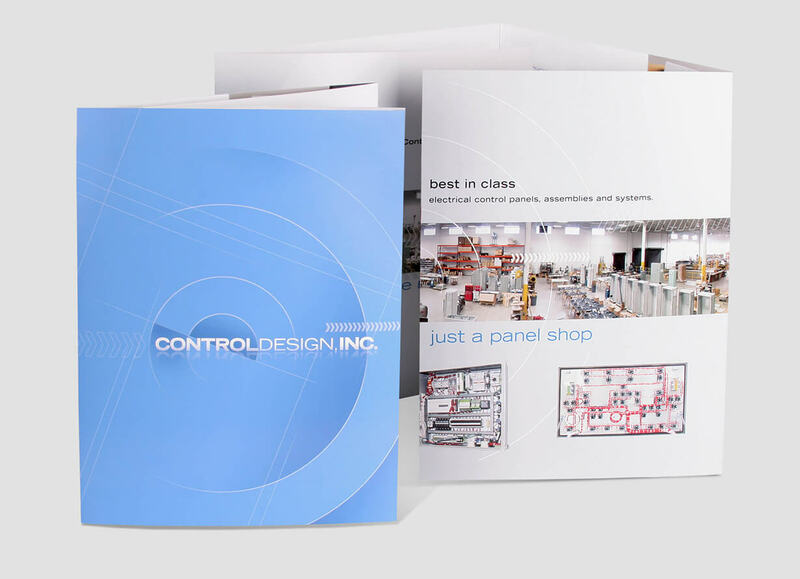 We work with engineers and industrial marketers to develop brochures that demonstrate complex processes and describe products that only an engineer could love… and we love it too. Throw a formula at us – give us some CAD drawings – show us a murky photo, we’ll turn it all into an organized catalog or brochure that speaks your language. Ask for a quote on your next design job. The industrial catalog designs shown contains over 100 pages of technical line art, detailed charts and graphs, plus tons of technical data for engineers. The design and pagination was developed for easy reference and the content is given enough air to increase readability. Shown left is an oversized, 8-panel brochure which was designed on a scale to impress. The large centerfold has a continuous image of a control panel manufacturing facility combined with many smaller close-up images of control panels. Monochromatic images create a background for informative charts and line art in this industrial water facilities brochure. We created this clean and simplified illustration of a large commercial facility before it was built. All of our industrial catalog designs can be printed traditionally and/or used as pdfs and online flip-books. The pdfs and online flip books can be updated easily and at low cost. The printed catalogs are used as reference and salesman hand-outs.